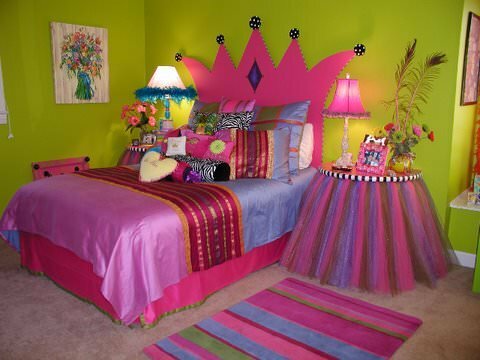 I think all my girls at one point have wanted a room that makes them feel like a princess. 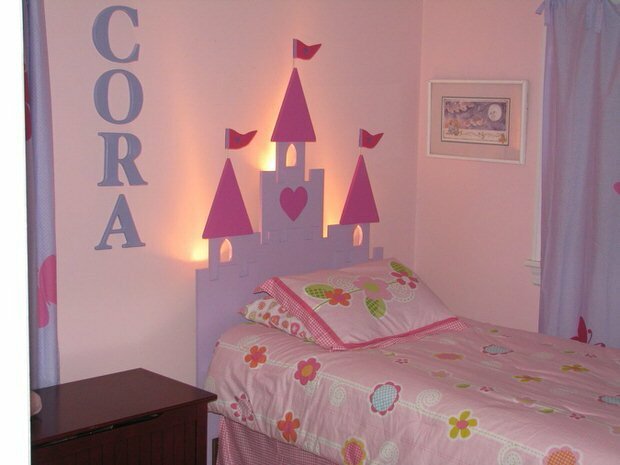 Well, here’s how to create a princess themed bedroom on a budget! 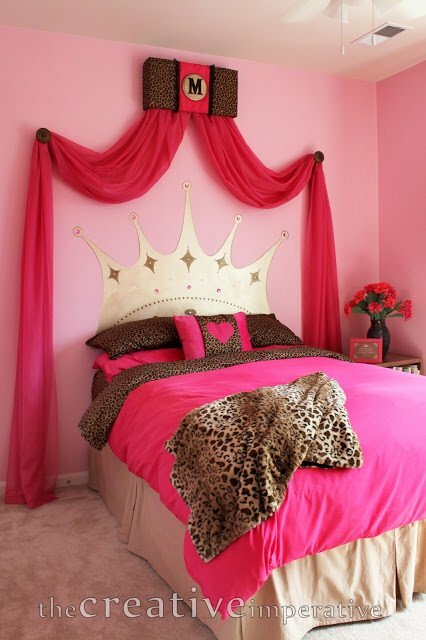 The focus of a princess room should be the bed, as in a bedroom it is the equivalent to a throne. You want to invoke the feeling of luxury without spending a lot of bucks, so here are my suggestions on what to concentrate on to get that “princess” environment just right! Paint. Paint the entire room a beautiful rich color. 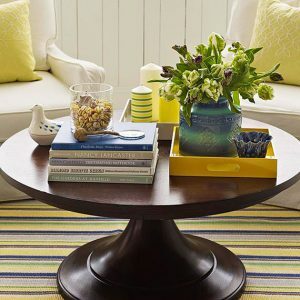 Rich colors are key here whether they be for paint or fabric. Make a simple stencil from sturdy thin cardboard of a swag, and stencil it over and over around the room at ceiling line in a rich accent color. Try using a gold metallic paint marker to accent around the room. If you are brave, try painting one wall as if it was a wall of her castle, with a window looking out at the forest or clouds in the sky. Keep it simple, it doesn’t have to be elaborate. Fabric. If her bedspread just isn’t the right colors, make one! Use sheets for cheap precut fabric and line it with an old blanket from your linen closet or a garage sale. It doesn’t have to be fancy, just rich in color. Make a pillow cover for her with details like buttons, lace, and appliqués from scrap satin or other luxe type fabric. The trick is to make the majority of the fabric projects from cheap cotton material, maybe even the same sheets as the bedspread, then add small bits of the expensive fabrics to give the illusion of luxury. Add throw pillows to the bed, and layer fabrics. 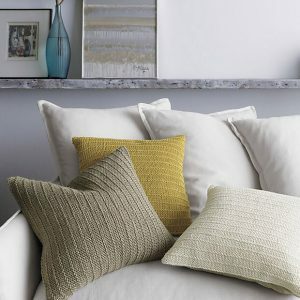 Check your linens for lacy cloth napkins, pieces of a velour towel that were torn or stained, etc for quick cheap items to make pillows with. Add details like buttons or ribbon bows. Add a folded quilt at the foot; use a sheet for a bedskirt (thrift stores!) throw fabric over a dressing table. Make an incredible fantasy headboard. Ok, I know you’re thinking there is no way to do this without spending a couple hundred bucks. Wrong! Imagination goes so far, and isn’t that the reason we want to create a fantasy room to begin with? Choose a shape for your headboard, I like a crown. Now choose your material according to your budget. If you or someone you know has a jigsaw, you could cut out a large crown from plywood. Remember to make it large in scale to make impact behind the bed. 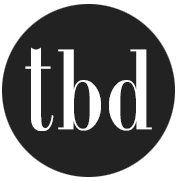 Check with a contractor of a local building sitethey have many large scraps of wood siding they may let you have for free! If that isn’t possible, all is not lost! Craft stores sell a product called foam core board, which is kind of like two layers of poster board sandwiched between a layer of foam for stability. It is easily cut with a craft or utility knife. After you cut out your crown, (and remember scale is key, the bigger the better) simply either paint it or cover it with rich looking fabric and a glue gun. You want it to contrast from the wall so it will stand out as the focal point in the room. Now use your glue gun to add embellishments small jewels from garage sale jewelry, sparkly beads, buttons, tassels made from string or embroidery floss, etc. 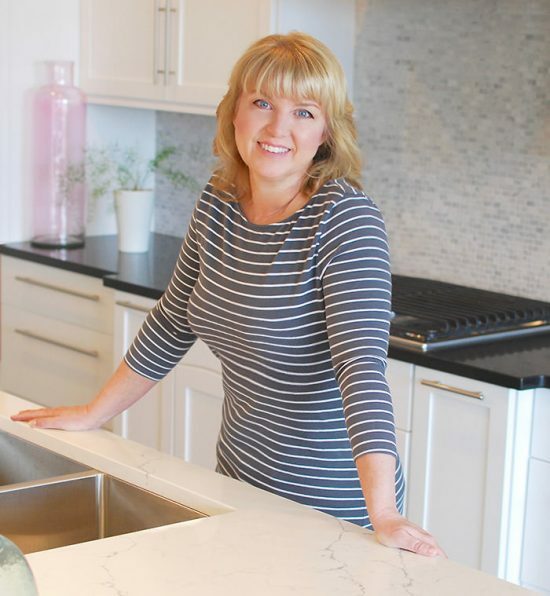 It might be best to gather all your materials and preplan your placement before you start gluing. 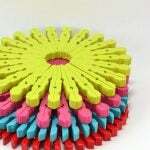 Now attach it to the wall with nails, Velcro, or screws into studs if you use wood. Don’t feel it has to start at the floor, position it behind the bed in whatever spot it gives the best impact, remember you are attaching it to the wall, not the bed. If all else fails, you could even directly paint the crown on the wall right behind where the bed will be using left over craft paints simply add the same embellishments to the wall once the paint is dry to give it a dimensional effect. 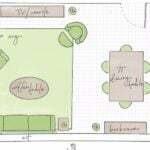 If you use your budget skills and look for materials around you: garage sales, thrift and dollar stores, clearance centers, building sites, etc, you can accomplish an incredible room for your little princess on very little money. Don’t be afraid to employ the help of a friend or neighbor, or to try out an idea you have! Good luck and be brave!! !